The businesses fronting N. Main (Last Chance Gulch) from Neill to Lyndale were generally more utilitarian than those that were "downtown". Lumber yards, hardware stores, used car lots, service stations, welding shops and the like could all be found. 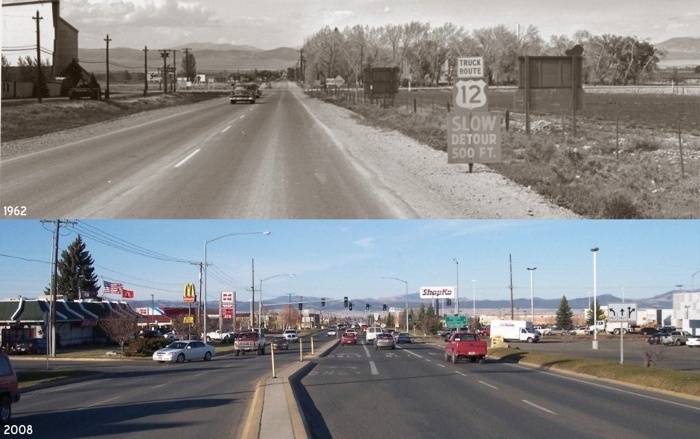 Also included in this feature is a remarkable 1962 view of the intersection of North Montana Ave. and Custer Ave., complete with a 2008 comparison photo taken from the same spot, and a slideshow detailing current (2008) development in the area. 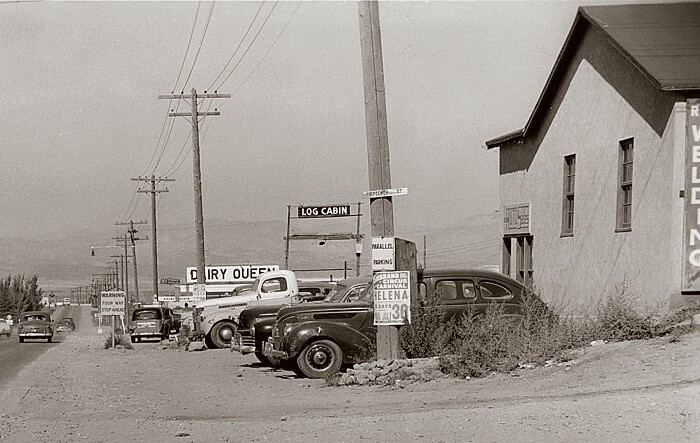 On the left is the Linder-Kind Lumber Co.
On the left is the Sunset Drive-in Theatre, Helena's first, which opened in 1949. Behind the trees on the right is the St. Joseph's Orphans Home. What was once a unique area is now a jumble of fast food joints and box stores, nearly indistinguishable from thousands of other American commercial strips. Click Image to download the slideshow (gif).